In 2011, over 2 million workers were injured and missed days at work. Many of those injuries could have been avoided if Personal Protective Equipment (PPE) had been used or used properly. PPE is one method to minimize a workers exposure to a range of hazards, and it’s an employer’s responsibility to provide workers with all necessary PPE, as well as the training on its care and use. Understanding and complying with these regulations poses some serious concerns, either invest the time and resources to research, develop, and deliver a PPE training program internally, or to hire a consultant to provide it for you. There is however, another option that allows you to provide the training quickly and easily. We here at Safety Services we have developed a “Do-It-Yourself” PPE training program that is both simple to administer and fulfills all your OSHA requirements. This innovative kit features an Interactive Training Program, Student’s Handbook, Instructors Handbook, Student Tests, Training Logs, Certificates, Wallet Cards and More. 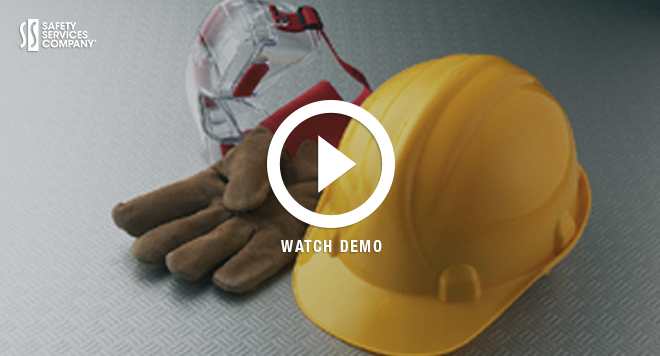 Our Personal Protective Equipment training kit is a simple three-step solution that brings all your employees into compliance. • A computer based training program that allows employees to navigate an electronic training program at their own pace, and then take an on-line test. • Instructor presentations and printable student materials that your trainer can use to deliver group classroom training, or when computer isn’t feasible. 2. Field training – The second step of training is in the field. During this part of the training, your appointed trainer demonstrates to the students the proper care and use of the PPE they may be required to wear, and how to protect themselves in the workplace. The material provided in our PPE training program meets OSHA all requirements, and enables your trainer to deliver the required training quickly, easily, and consistently. If you have any questions about OSHA safety training, or are ready to order your Personal Protective Equipment training program, give us a call at 1-888-840-9276.